This is the first batch Lp thuat Nur wahn made by Ajarn Nong. 2514. One of the highly sought amulet produced by Ajarn Nong. The origin of this based on record is that Lp thuat appear in Ajarn nong requested him to make 1 batch with 2497 wahn. 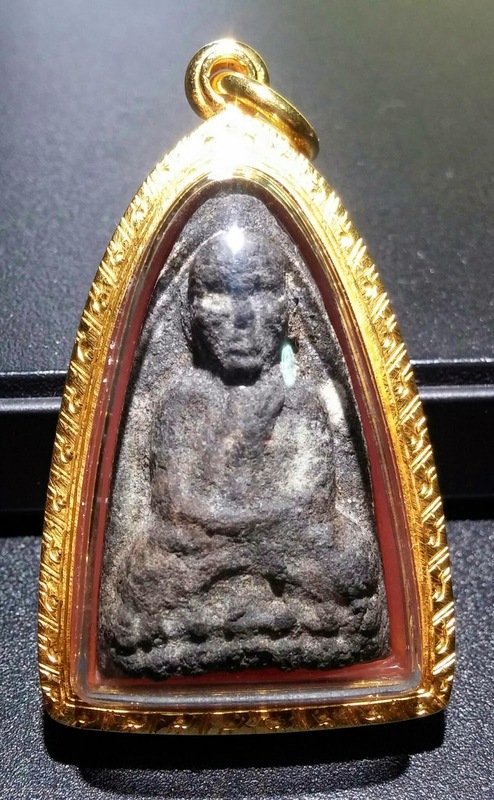 N pim from wat changhai. Use that to raise money to build schools n temple hall. So, this batch was created in 2514. Lp thuat attended the consecration ceremony too as many devotees saw lp thuat shadow on the hall wall. I have been looking around for this lpt n it is hard to find one at good condition n hand mould n at reasonable price. Collectors usually dun let go. So pretty rare in the market. Two things must collect for Ajarn nong stuff. This 2514 nur wahn lpt with takrut or the takrut narai pang rope which is highly recommended. Story of narai phang rop, already described in previous post. And why I think this is a highly collectable item? 2. Mixed with highest content of 2497 wahn. 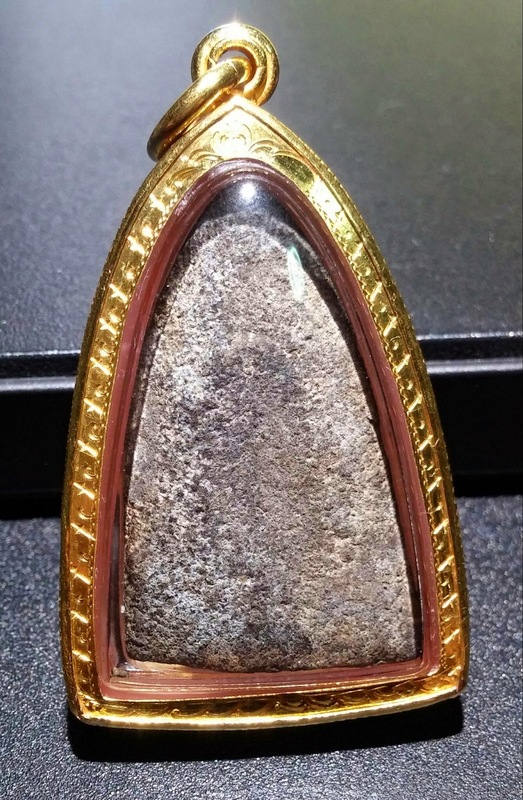 This can be observed from the aging process amulets n materials formed on surface. 3. Lp thuat attended the ceremony himself. It has proven efficacy with lots of miracles recorded. 4. Price is much lower than real 2497 lpt from wat changhai. .
5. It has embedded famous Ajarn nong takrut.